This is a continuation of our interview with Rum Expert Robert Burr. Part 1 can be read here. What types of events are part of the Rum Renaissance festival? With so many different options at the Grand Tasting finale, how would you recommend approaching so many rums? It can’t be possible to try them all, right? As always, we have several hundred rums on display. There’s also lifestyle products, artists, apparel, travel, gourmet products, etc. No, you can’t try them all, but surprisingly, if you sample a very small amount of a rum, you’ll know right away if you like it. You could sample 50-60 small tastings in a day without getting tipsy. Of course, we’re drinking water and enjoying a good bite or two along the way. When you arrive at the festival, first listen and learn. The exhibitors are extremely knowledgeable about their products, methods, styles and objectives. Look for rums that suit your purpose. Which will be your favorite great sipping rum? Which are perfect for making cocktails or punch with friends at your next get-together? Which are the full-flavored rums that you love to share with friends? What defines the styles of rum from Puerto Rico, Dominican Republic, Barbados, Venezuela, Jamaica, Guatemala? This is the best place to learn, discern, savor and demystify rum. Would attending the Rum Renaissance be good for a beginner rum drinker? 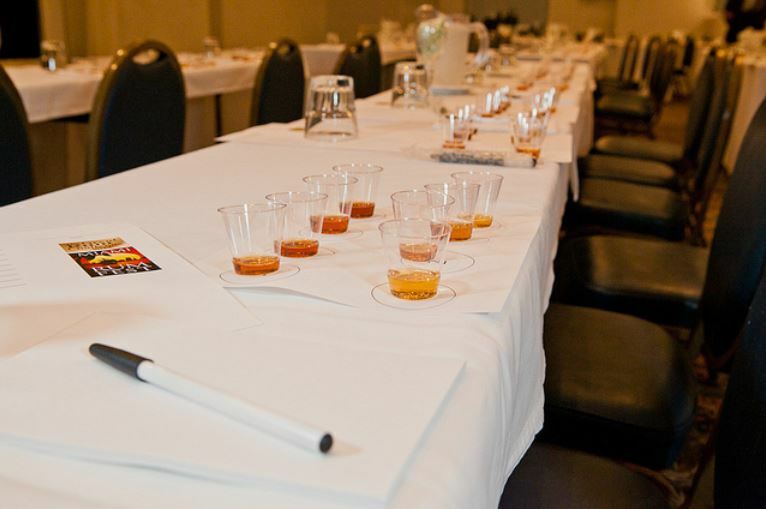 Are there seminars that show students key things to look for in a quality rum? If someone couldn’t make it, do you have a few approachable rums that you could recommend for rookies? It’s the perfect place for beginners to start. Some of the seminars, such at Martin Cate’s “Tiki 101” will teach you all about delicious, tropical tiki drinks; how they were invented; how to make them for friends. This is fun. A beginner can’t find a better place to get a basic education. At every turn, experienced rum professionals are ready, willing and able to help you learn. Your friends will discover something amazing and insist you go right over there and try it. There is excitement and opportunity to learn. A beginner will leave the show with a new-found understanding of rum styles, categories, territories and blends. If you can’t make it to the festival, start with authentic rums of Barbados like Doorly’s XO, R.L. Seale and Cockspur. If you prefer this dry style, also try the Brugal 1888 from DR, the great Jamaican estate rums from Appleton Reserve and Extra, or Flor de Caña’s great 7 year old, or their 18 year old sipper. For the sweeter palate, reach for Zacapa from Guatemala, Diplomatico from Venezuela, Atlantico from DR, Zaya from Trinidad or the new Papa’s Pilar from Hemingway Rum Company. Rum is not expensive, especially compared to Scotch, Bourbon, Cognac or Tequila. You can afford to experiment, to be adventurous, to discover for yourself which styles and expressions are best suited to your palate. Are there any special surprises happening or guests appearing at this year’s festival that you can tell us about? A teaser? There are always new products to discover. Big companies will reveal exciting new products. Small American companies will bring their rums to the show for the first time. Some rums that we love from the islands will finally make it to Miami. A host of rum’s finest presenters, lecturers and ambassadors will be sharing their knowledge and passion for rum. The VIP area offers a place to relax, enjoy hand-made premium cocktails and complimentary food. 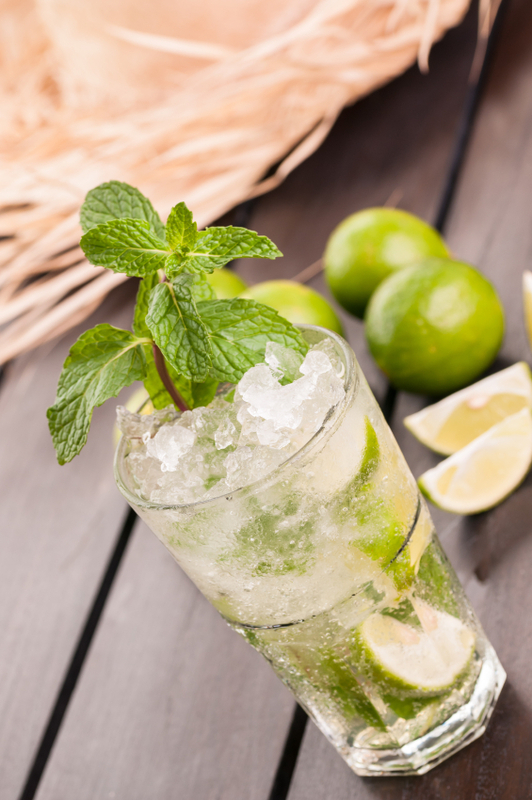 As a world traveler, what are some of the most exotic destinations you’ve visited to drink rum? Are there distilleries buried in a jungle somewhere? Were there any unbelievable experiences during those visits you could share? So many stories … so little time. From the far reaches of Guyana, Nicaragua, Venezuela, Jamaica, Guatemala, Panama or Peru to the well traveled paths of Barbados, Trinidad, St. Barth, Puerto Rico, the Dominican Republic, St. Vincent, Martinique, St. Lucia or central Florida, each visit to a distillery or aging facility is a world-class experience. Some require helicopters to reach over rugged, often dangerous terrain. Some are quite secretive, rarely allowing a visit to see the operation in progress. Some are ready for tourists, with marvelous displays, museums and tours of their operations. A little distillery in Grenada still uses a very large stream-fed water wheel to crush their cane, lighting a wooden fire under their pot still to evaporate the alcohol, then hand-filling each and every bottle. This is how they did it back in 1785 and nothing has really changed. Another traditional pot still facility in Jamaica produces rich and flavorful authentic style rums, as they have for centuries, now commanded and automated by a customized state-of-the-art touch-pad controller. The variations seem almost endless. Finally, what are a few interesting rum facts that your everyday person probably doesn’t know? Most people associate rum brands with distilleries. In many cases, a rum brand owns and controls their own distillery, such as Bacardi, Appleton, DonQ or Flor de Caña. But many brands and distilleries are separately owned and operated. For example, in Barbados, Mount Gay Rum is owned by Remy Cointreau, a large corporation based in Europe. Their rum is — and always has been — created by a small distillery in Barbados owned by the Ward family. Malibu coconut rum is a world-famous brand produced by West Indies Distillery in Barbados. Atlantico Rum is created by Oliver and Oliver in the Dominican Republic. Captain Morgan spiced rum was recently made by the distillers of DonQ in Puerto Rico, and now it’s made by Diageo in St. Croix. Zaya aged rum was once made in Guatemala, now by Angostura in Trinidad. Increasingly, new rum brands use spirits created for them by independent distilleries, aging facilities and blenders to their specifications.